If you’ve been putting in extra hours of work towards a promotion for a long time, yet nothing happened, then perhaps it is time to revise your CV and to give it a much needed boost. While experience takes time to build, you can always improve the qualifications section and demonstrate that you are willing to constantly enhance your skills in the field, while also keeping up with your work-related responsibilities. If you’re worried about going back to college, you’ll be happy to hear about all the alternatives available for mature individuals in terms of higher education. Adding a PhD to your resume can improve your life in a number of different ways – you can show your superiors that you are ready to take on a more important, management-oriented position, you can certify your life’s work and skills and you can earn the respect of those around you, be they family members or co-workers. Indeed, such a degree does not only let you add the title of “doctor” in front of your name, but rather it drastically improves your professional image and it gives others the certainty that you have achieved excellence in your field of study. This makes them see your opinions with more authority and it creates leadership opportunities for you to shine at your workplace. Of course, most of the prestige associated with a PhD comes from the difficulty of this last level degree program, which usually takes 3 years to complete, a lot of study and research and the writing of a dissertation that is meant to bring something innovative to the field. 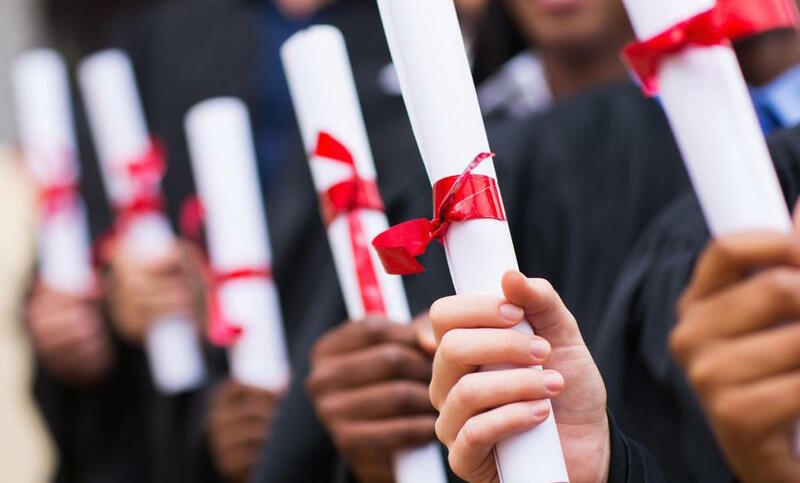 Given these strict and demanding requirements, most people are discouraged from pursuing a PhD degree program. One way to get a PhD faster than other students is to enlist in an online program, rather than in its traditional counterpart. Online programs are generally shorter than traditional ones and, if you can demonstrate that you have relevant work experience, you can always equivalate it for credits so that your program is even shorter. This also helps reduce the tuition fee you must pay in order to enlist and it allows you to take up fewer courses before graduating. Additionally, if you are able to sign up for more courses at a time, you can shorten your graduation time even further. To get a PhD online, simply enroll for this option with the college you would have otherwise studied at, as most if not all educational institutions now have the option of online education. Even if you can’t afford an online PhD program, there are still options left for you to try. In fact, the fastest and most popular alternative in terms of becoming better qualified is to purchase degrees online. For this, all you have to do is to find a reliable provider and place your order. You don’t have to attend any courses, online or otherwise, you don’t have to complete any coursework, nor worry about passing exams. Considering the fact that most of the things we learn in college become useless as soon as we graduate and we are faced with the “practical experience” requirement, skipping the program and earning the degree instantly can be a great advantage.